Gunji, Kalapani, Nabhidhang – three important camps on the way in Kailash Manasarovar Yatra. At Gunji, yatris stay one extra day to get their health assessed for proceeding further on the yatra. ITBP jawans and doctor accompany the yatris from Gunji until yatris cross border and enter Tibet. Kalapani is the birth place of Kali River. There is a beautiful Kali temple here. Opposite to the temple Vyasa’s Cave can be seen on Shiv Parvat. In Kalapani, immegration stamp will be put in passport of every yatri who is going to cross the Indian border with Tibet. 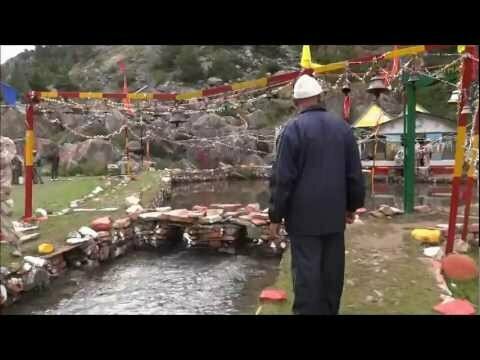 Nabhidhang is the last camp before entering Tibet. OM Parvat can be seen from here.